What is White Pine Like? What Hurting People Need Most from White Pine Community Church on Vimeo. Scripture says that when we’re in trouble, God is an ever-present help. But sometimes we feel the opposite, don’t we? When we need Him most, He seems a million miles away. You may have a friend who is feeling that way right now. Suffering has done a number on their faith. How can you help them when they have lost the will to seek God? 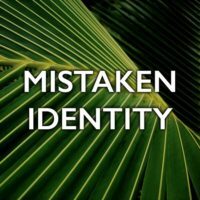 This Sunday at White Pine, we are going to learn from a faithful band of friends how to help those we love draw near to the God they thought had abandoned them.